The people of Michigan hired themselves a GOP businessman to be governor in 2011. And what they got was children poisoned by public water in Flint. That is, what they got was a government run based on GOP business values. To line the pockets of CEOs and shareholders, corporations cut corners in ways that frequently end up injuring workers and the public. Think of the Upper Big Branch mine disaster where safety violations killed 29 workers or the Takata airbag fatalities that occurred despite workers voicing safety concerns or the nine deaths and 714 illnesses caused by salmonella-contaminated peanut butter knowingly sold by Peanut Corporation of America. So, really, the lead poisoning of Flint children by a government based on Republican business values is no surprise. Lead poisoning is irreversible. It can’t be fixed. In addition, now, two outbreaks of Legionnaires Disease that sickened 87 and killed 10 have been linked to the foul water. There’s no fixing dead people. The GOP businessman-governor also said in his state of the state address last week: “Government failed you.” That’s exactly what Republicans want. They want government to fail so that they can justify crushing it, eliminating much of what it does for people and turning over the rest to private business, which profits by cutting corners the way Peanut Corporation of America did. Then, when it all falls apart like it did in Flint, it’s amazing how quick those Republicans put their hands out for a federal bailout. That’s what Snyder did. He’s a venture capitalist, after all. That’s the Wall Street way. Michigan didn’t have to poison Flint’s children. That was a values choice. And Republican Gov. Rick Snyder values big business more than little children. Immediately after Snyder got elected, he gave his corporate buddies a big fat tax break and raised taxes on individuals, including poor people and pensioners. An analysis by the Detroit Free Press in 2014 showed individuals were forking over a total of $900 million more a year. By contrast, businesses paid $1.7 billion less annually after Snyder cut their tax bills. If corporations had paid their fair share in taxes over the five years that Snyder has been in charge, Michigan would have an additional $8.5 billion to help struggling cities like Flint afford clean water and struggling school districts like Detroit afford decent education. But giving businesses a tax break was more important to GOP businessman Snyder. Long before Snyder took office, Flint fell into financial trouble as the auto industry abandoned it. But the Republican governor’s administration appointed the emergency manager who decided to disconnect Flint from a safe public water source and draw instead from the Flint River to save between $1 million and $2 million a year. Almost immediately, the people of Flint began complaining. The Flint River water was yellow, orange or brown. It tasted and smelled bad. It caused rashes and nausea. It produced so much corrosion at a GM plant that the factory switched to another water source. The public water that had been piped to Flint homes from Lake Huron for nearly five decades had been treated to prevent metals in the pipes and pipe joints from leaching out. The water from the Flint River was untreated, even though it is more corrosive. So lead and iron leached into the water drawn by Flint residents. Both metals are dangerous. The U.S. Centers for Disease Control and Prevention says there is no safe blood lead level in children. Iron pulls chlorine out of water, allowing bacteria to thrive. This creates a particularly fertile environment for Legionnaires because that bacteria needs iron to grow. Smelly, foul-tasting orange and brown water was good enough for Flint residents as far as the Snyder administration was concerned. Beyond ignoring the concerns of Flint residents, officials within his administration aggressively mocked and belittled them. Last year, in February, the U.S. Environment Protection Agency (EPA) warned Michigan state officials that lead and other contaminants were leaching into the untreated Flint water. The state did nothing. 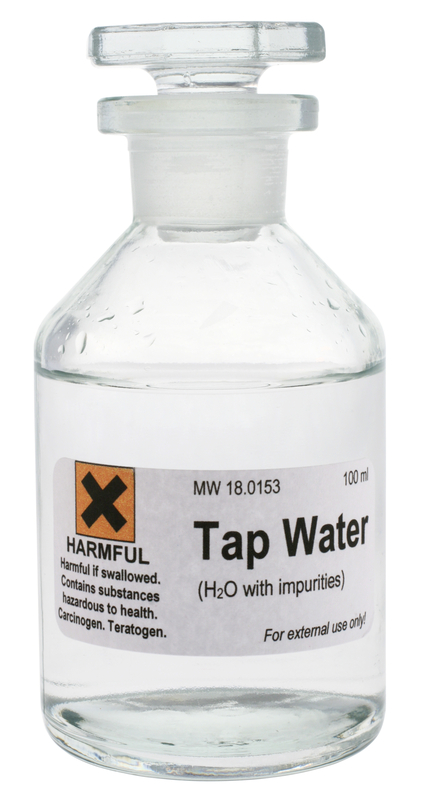 In June, an EPA regulations manager reported that the state appeared to be deliberately testing the water in a way that would seriously understate the levels of lead. 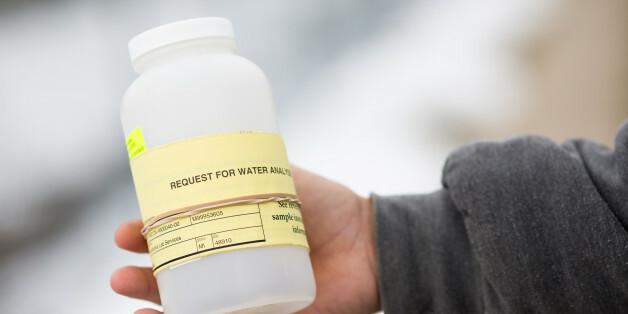 Instead of intervening immediately to stop the poisoning, state officials argued that Michigan was not required to treat the water to fix the problem. Months later, when independent studies confirmed high levels of lead, state officials reacted initially by denying the results. That’s definitely a government run on GOP-business values failing the people. Just like Peanut Corporation of America. One of those independent studies was conducted by pediatrician Dr. Mona Hanna-Attisha. Last September, she found a spike in blood lead levels in Flint children, some three times higher than those in earlier routine tests. Last fall, after the state couldn’t deny the results of the independent studies anymore, Snyder’s administration agreed to come up with most of the $12 million needed to restore Lake Huron water to Flint. Had the state given Flint $12 million three years ago, the children of Flint would not have been poisoned. Then last week, Snyder asked state lawmakers to allocate $28 million to help Flint. And he appealed President Obama’s denial of his request to declare Flint a federal disaster area and give him $96 million to fix it. The President said federal law limited what he could do. He awarded Flint $5 million in response to what could be legitimately described as a federal emergency. But he could not make a disaster declaration because the calamity was man-made. This was not a Hurricane Katrina or Super Storm Sandy. The tragedy in Flint was a choice. This was a values decision about what was important. Giving a break to big business was the top priority for venture capitalist Snyder. Operating a shoddy government, over-taxing pensioners and poisoning Flint’s children was the result. And now Snyder is demanding a $96 million federal bailout. Just like Wall Street. When those capitalists mess up, then all of a sudden they think government works.